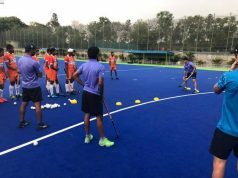 India, today, named the Indian Junior Women’s Hockey Team for the upcoming Matches against France to be held from 8th – 13th February 2019 in Lucknow and Gorakhpur, Uttar Pradesh. The Indian Women’s team will be playing a total of four Matches against the French Women’s National Team, the first two of which take place on 8th and 9th February 2019 respectively at the Padma Shri Mohammad Shahid Synthetic Hockey Stadium in Lucknow, Uttar Pradesh, while the third Match is scheduled to be held on 11th February 2019 at the Veer Bahadur Singh Sports College, Gorakhpur, Uttar Pradesh. The teams return to Lucknow for the fourth and last Match which will be played on 13th February 2019. 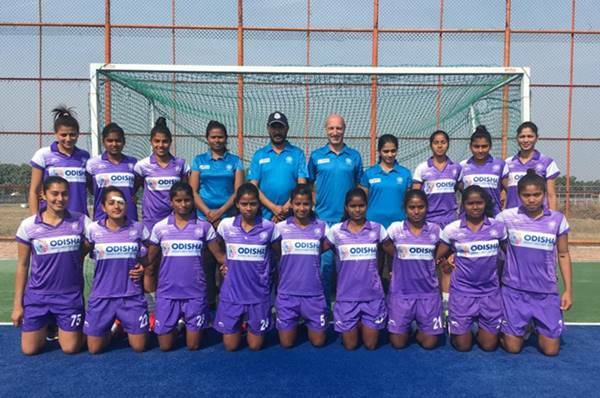 The 20-member team consists of Goalkeepers Bichu Devi Kharibam and Khushboo, while Defenders Philicia Toppo, Gagandeep Kaur, Salima Tete, Priyanka, Suman Devi Thoudam and Ishika Choudhary. The midfield will be commanded by Mahima Choudhary, Prabhleen Kaur, Mariana Kujur, Reet, Baljeet Kaur and Preeti. Young Forward, Lalremsiami, who is a part of the Senior National Team for their Spain Tour 2019, will be leading the forward line along with Sharmila Devi, Mumtaz Khan, Jiwan Kishori Toppo, Ajmina Kujur and Jyoti. 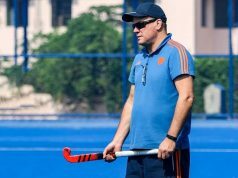 “The upcoming Matches against the French Women’s National team will be helpful for our team in gaining match-fitness and experience different match situations. We will be up against a group of players who have played together for a considerably long time, and I feel our team’s combination for the Matches is such that it will give all the players an opportunity to contribute with their efforts on the field. 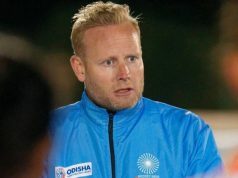 Our players will get a much-needed exposure and this challenge will help us in developing these players for bigger challenges that the team is going to face in the future including the 8th Women’s Junior Asia Cup,” stated Coach Baljeet Singh. Team: Bichu Devi Kharibam, Khushboo (both Goal Keepers); Philicia Toppo, Gagandeep Kaur, Salima Tete, Priyanka, Suman Devi Thoudam, Ishika Chaudhary (All Defenders); Mahima Choudhary, Prabhleen Kaur, Mariana Kujur, Reet, Baljeet Kaur, Preeti (All Midfielders); Lalremsiami, Sharmila Devi, Mumtaz Khan, Jiwan Kishori Toppo, Ajmina Kujur, Jyoti (All Forwards).